« Progress note on the Aurora sale. 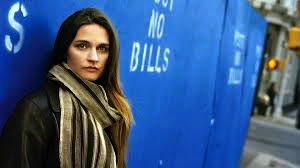 SOUNDTRACK: Madeleine Peyroux is an American who has spent many years in France. This song, sung in French, is called “La Javanaise.” Supposedly it is difficult to translate. But it evidently is a bitter-sweet love song—something about true love only lasting as long as a romantic dance. So, forget the translation. Everything in Paris is about love—at least that is its reputation, so just enjoy it and imagine what it means. MADELEINE PEYROUX from her album Half the Perfect World This song, “La Javanaise” was performed in the movie the Shape of Water by Madeleine Peyroux in 2017. Reblogged this on Blogfinger. Originally posted 2012. Reposted now.